Last year was a big year for Pops, with the start of the Dot Time "Louis Armstrong Legacy Series" (more on that to come), and the release of three major digital sets I helped co-produce for Universal. 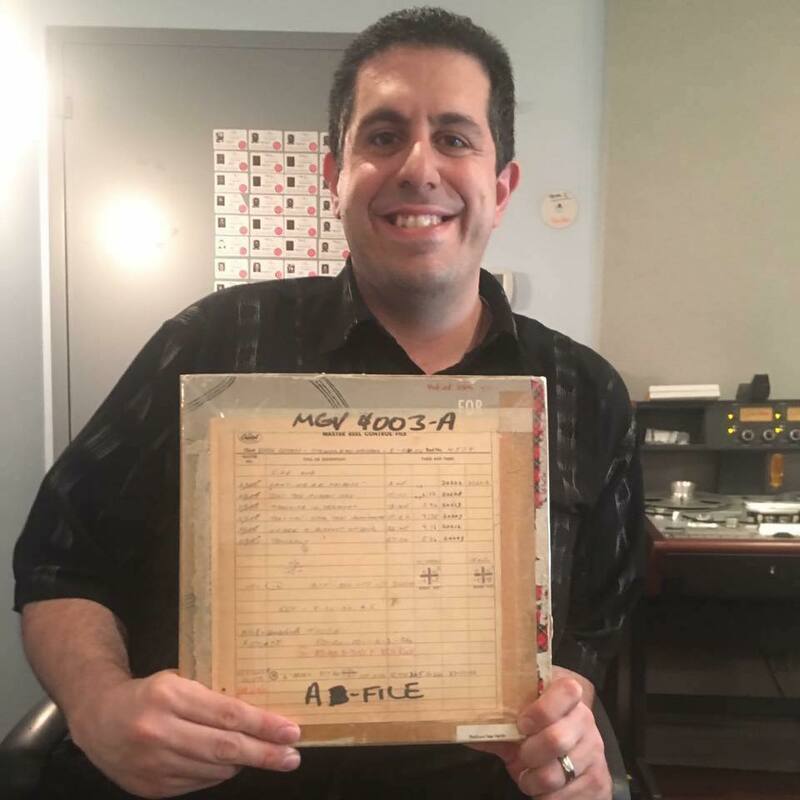 Well, it's been a long time coming folks, but the time is finally here: two boxed sets of Louis Armstrong's Verve recordings that I originally teased in 2017 will be officially released in April! For proof, a press release went out last night and there's an article about it on Universal's website. No more delays! Oh, and both of them will be physical releases! Yes, actual CDs! In 2018! 2017 was Ella Fitzgerald's centennial and the good folks at Universal pumped out a steady flow of terrific projects. When my partner-in-crime, Universal VP of A&R and Product Development Harry Weinger, asked me to come aboard to help put together a complete Ella and Louis set, I didn't hesitate in responding in the affirmative. This material has been issued a thousand times over the years so I wanted to help this set to be a little different. The last time Universal did a "Complete" attempt, it was a 3-CD in 1997 and they stuck to just the Verve recordings. 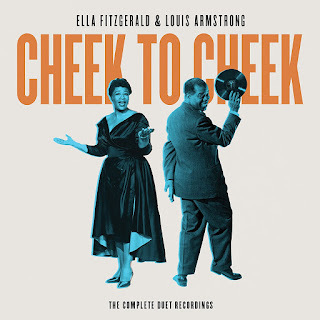 So step one would be to add Ella and Louis's eight Decca singles, which have always been criminally neglected, at least when compared to the Verve albums. 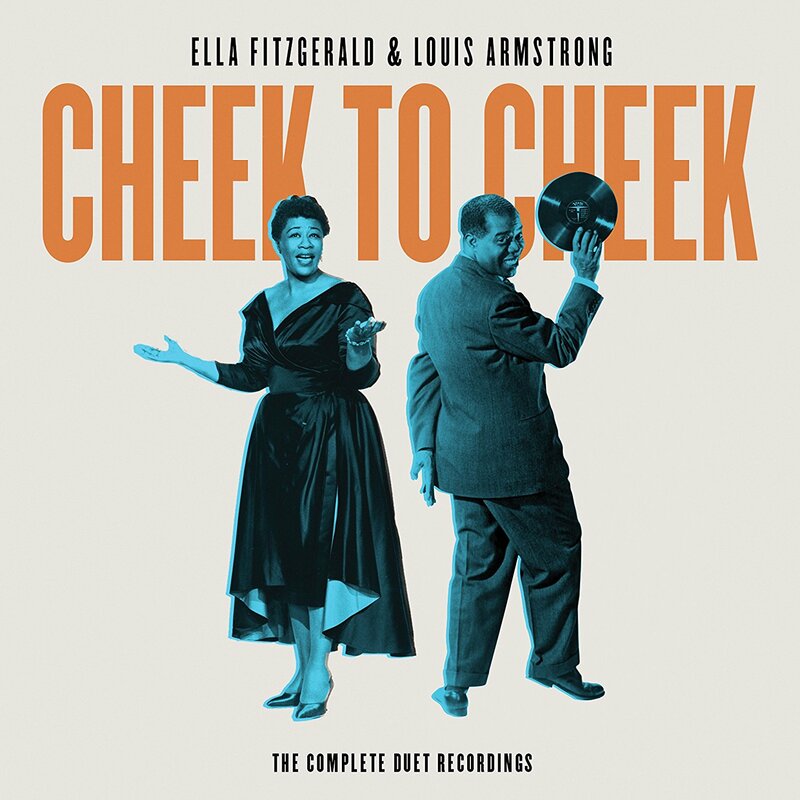 And we timed it out, everything flowed beautifully: the eight Decca tracks and the complete Ella and Louis on Disc 1, the bulk of Ella and Louis Again on Disc 2, the culmination of Ella and Louis Again and the complete Porgy and Bess on Disc 3. Perfect! But we wanted to go one step further so we tacked on a Disc 4, a bonus disc. To end the suspense, we checked every crevice of the Universal vaults: no alternate takes of the Ella and Louis Verve duets turned up. None. It's a shame and maybe one day they'll turn up unexpectedly but it seems that Norman Granz might have destroyed them (or someone at Verve walked off with anything that survived). Still, that didn't stop us! There's alternates and breakdowns from the first Decca sessions so we included those (including a couple of quick breakdowns not on Mosaic's Decca Louis set). There were two live tracks from the Hollywood Bowl in 1956. My friend Robert Bader of Bing Crosby Enterprises granted us the rights to use a radio broadcast of Ella, Louis and Bing singing "The Memphis Blues." However, the rest of the bonus disc shines the spotlight on Louis and you know that's nothing to complain about. For Ella and Louis Again, Louis did four solo features. We've included alternate takes of each of the four tunes. Then, for Porgy and Bess, Louis showed up to the studio and attempted to do "Bess, Oh Where's My Bess" in August 1957. We've included the entire sequence, which shows him struggling mightily to deliver this challenging song. Eventually he gave up, but studied the backing track for weeks to come, eventually returning to the studio to nail it in October. But hearing him struggle, unable to hide his frustration, but also summoning up moments of great beauty is an emotional ride. Porgy and Bess was released in stereo and mono but all subsequent reissues have been the stereo version. It turns out the mono version had completely different takes of "I Got Plenty of Nuttin'" and "A Woman is a Sometime Thing," the latter with a terrific trumpet solo. We've included the mono takes, the first time they've been released in the CD/digital era. And finally, Granz also wanted to include "Red Headed Woman" on Porgy and Bess. He recorded the Russell Garcia orchestra playing an arrangement of it, then called Louis in to overdub a trumpet solo. On his first attempt, Louis flubs a note or two but overall plays the hell out of the horn. However, pianist Paul Smith's playing was so busy on the backing track, Granz decided to scrap the whole thing--but at least you'll get to hear the one attempt at "Red Headed Woman," the "lost" Porgy and Bess track. Also, for those who complained about digital releases, here's an actual physical release, with photos and liner notes by yours truly. And I didn't set the price but $37 for a 4-CD set sounds like a bargain. Even if you don't want it for yourself, get it for a loved one--it's the gift that keeps on giving! And for those who actively stream their music online--2018, I get it and love it!--yes, of course, this set will be on Spotify, Apple and everything in between so if you don't care about my notes and would use the CDs as coasters, just wait until it pops up online and you can play the hell out of it on your phone or wherever you may be. I kid those out there but it sometimes gets a bit frustrating that a major music corporation is putting out more Louis in 2017 and 2018 than any previous years--probably ever--and when we put out something major as a digital release, I hear, "I don't do digital" and when we put something out as a physical release, I hear, "Eh, already have it." Some people are hard to please but I'm not going to stop trying--so check this space in one week for the details on the next Dot Time release, a physical CD with 100% previously unissued material! Something for everyone!